In 1753, nearly 350 residents of Anson County petitioned the North Carolina legislature to form a separate county. Rowan County was the result of the petition, and at the time of its incorporation, the county was named in honor of the governor of North Carolina, Matthew Rowan. Two years after the county’s establishment, Salisbury was determined the county seat of Rowan, and the town most likely received its name in honor of the town in England. During the 1800s, Salisbury was the economic and political center of western North Carolina. Communities in Rowan County other than Salisbury include Bear Poplar, China Grove, Craven, Spencer, and Faith. In addition, the sprawling city of Kannapolis, a town mostly located in Cabarrus County, extends into Rowan County. Several natural features distinguish Rowan County, such as rivers (Yadkin River), creeks (Beaverdam and Panther Creeks), and mountains (Dunn Mountain). The Saponi and Catawba were the first Native Americans to reside in present-day Rowan County. German and Scotch-Irish settlers, from the northern colonies of Pennsylvania and Virginia, traveled the Great Wagon Road to Rowan. Farmers took advantage of the fertile soil in Rowan and the county grew throughout the 1740s and 1750s. As the Revolution neared, county residents became more involved in politics and the fight for independence. Rowan citizens eventually composed the Rowan Resolves, an article composed in support of American Independence. The Rowan Resolves have been considered by historians and some Rowan County citizens as one of the first documents proclaiming North Carolina’s involvement in the American Revolution. In the middle of the nineteenth century, a community appropriately known as Gold Hill prospered for several years during North Carolina’s gold rush. Gold was discovered in North Carolina in 1799 at Reed Gold Mine in Cabarrus County, and in 1824 the precious metal was found several miles away at Gold Hill in Rowan County. During operation, the mines at Gold Hill produced more than six million dollars in gold, eventually causing the government to construct a federal mint in Charlotte. After gold was extracted from the Gold Hill mines, copper was found in 1907, and a large mining operation followed the discovery of this metal. Several weeks after North Carolina joined the Confederacy, Governor Henry Clark was commissioned to construct a prison for incoming Union prisoners of war. An empty textile mill in Salisbury was selected as North Carolina’s only prison during the War Between the States. In May of 1862 nearly 1,400 prisoners were condemned at the prison in Salisbury, but by October 1864 the population of Northern war inmates had increased to about 10,000. The overcrowding and poor sanitation of the prison led to a death rate of over 25%, with 4,000 prisoners dying during the prison’s operation. Many Union POWs attempted to escape, and in January 1865 almost 100 prisoners successfully tunneled out of the prison. Several weeks before General Stoneman’s raid of Salisbury and his destruction of the prison, all northern POWs were moved out of the Salisbury prison. Today, the Salisbury National Cemetery exists to commemorate the Union soldiers who lost their lives at the Confederate prison during its operation. Two important colleges were built in Rowan County, and they continue to educate students in the region. Catawba College (1851), one of the oldest colleges in North Carolina, was originally created to teach ministers of the German Reformed Church. During the Civil War, Catawba College went through a strain of resources and the college had to be closed in 1923 due to World War I. However, the Reformed Church moved to Salisbury in 1923, and offered $50,000 to move the school to Rowan County. Catawba completed its move in 1925, and the school continues its affiliation with the United Church of Christ (the merger created by the Reformed Church and the Congregational Christian Church), and it most distinct feature remains its 300-acre refuge for Rowan wildlife. Livingstone College (1879) was founded by a group of African-American pastors to teach students how to assist the African Methodist Episcopal Zion Church. The school was originally called the Zion Wesley Institute, and it offered courses in religion and technical skills in construction and masonry. The North Carolina legislature allowed the college to change its name in 1887. Zion Wesley Institute became known as Livingstone College in memorandum of David Livingstone, the famed Christian missionary who served and explored Africa. In 2002, Livingstone’s seminary disjoined with the university, but both the college and seminary continue to educate students. The A. M. E. Zion Church still funds both. Numerous Rowan natives became famous. John Ellis (1820-1861) was governor of North Carolina, and he succeeded in securing North Carolina’s secession from the Union in 1861. Colonel Charles F. Fisher, the namesake of Fort Fisher, was born in Rowan County. His daughter, Frances Fisher (1846-1920) or more famously known as Christian Reid, was also born in Rowan, and she is best known for penning The Land of Sky, a name now attributed to western North Carolina. Lee S. Overman (1854-1930) was a U.S. Senator who backed President Wilson and his foreign policies that led to World War I. Augustus Leazer (1843-1905) served in the North Carolina General Assembly, and he advocated the founding of the North Carolina Agricultural and Mechanical College, the precursor of North Carolina State University. Elizabeth Dole, former U.S. Senator, and Theo Buerbaum, renown photographer, are two other important Rowan natives. “Rowan County; Confederate Prison (Salisbury).” William S. Powell, ed. Encyclopedia of North Carolina (University of North Carolina Press: Chapel Hill, NC 2006). “John W. Ellis; Christian Reid; Lee S. Overman; Augustus Leazer; Livingston College; Gold Hill Mining District; Old Stone House; Catawba College.” North Carolina Highway Historical Marker Program website. A Division of the North Carolina Department of Cultural Resources. (accessed December 26, 2011). “The History of Rowan.” Rowan County Government website. 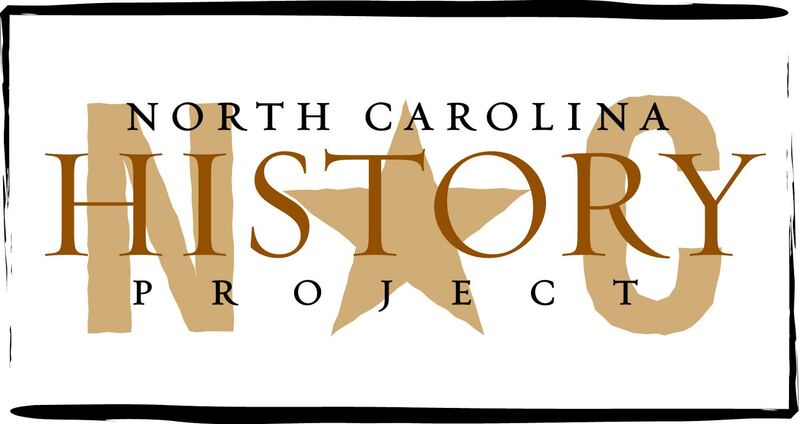 http://www.rowancountync.gov/GOVERNMENT/Departments/RowanPublicLibrary/HistoryRoom/TheHistoryofRowan.aspx,(accessed December 26, 2011).